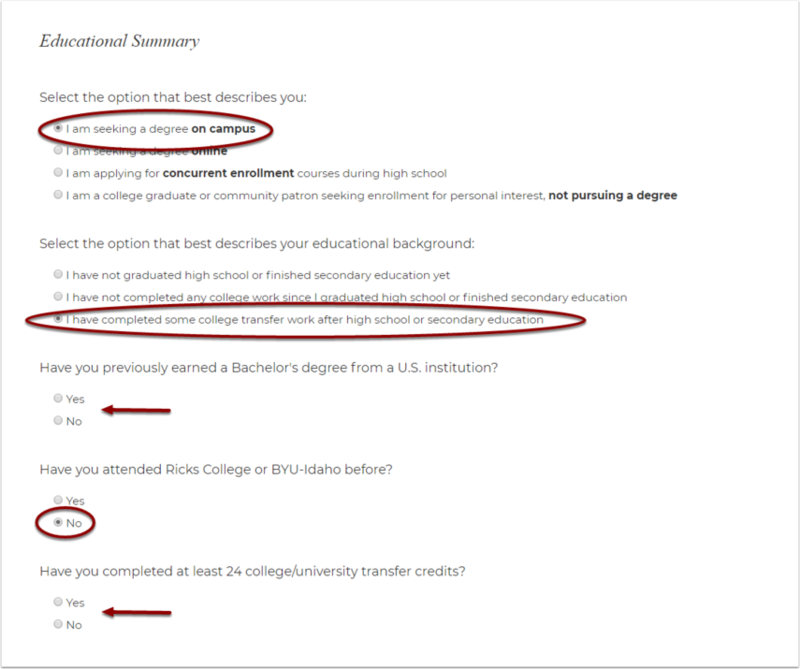 Choose the correct amount of college credit. 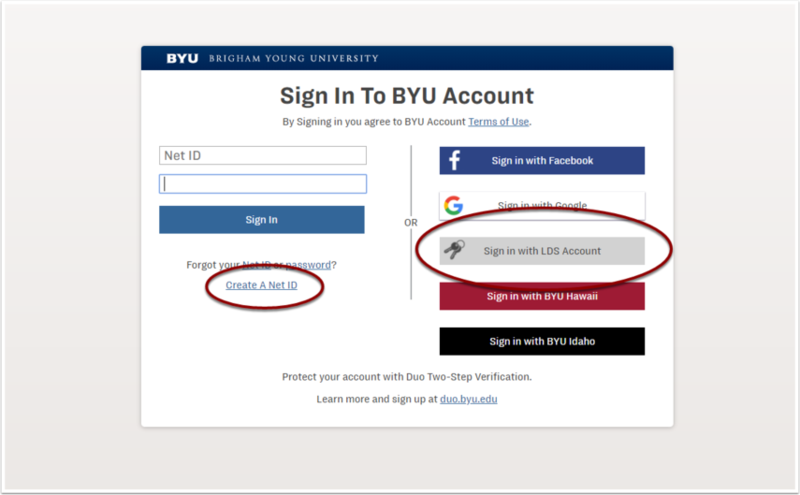 Pathway and BYU-Idaho credits are not included in the calculated credits. Calculate only credits for which you received graded credit. 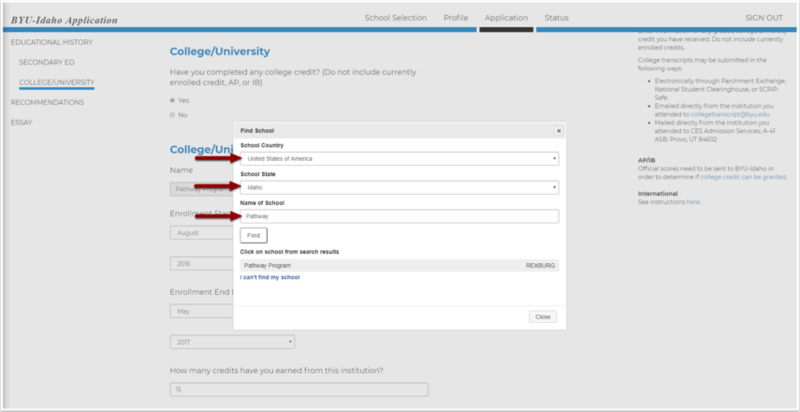 If the credits you list here are different than the college/university section, you will get an error message. 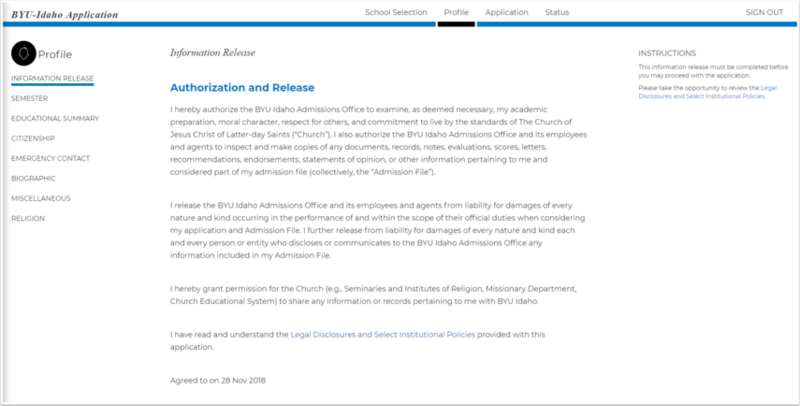 NOTE: The Ricks, BYU-I, and Pathway credits you enter here should NOT be counted in the total credits listed under the Educational Summary ( #11). 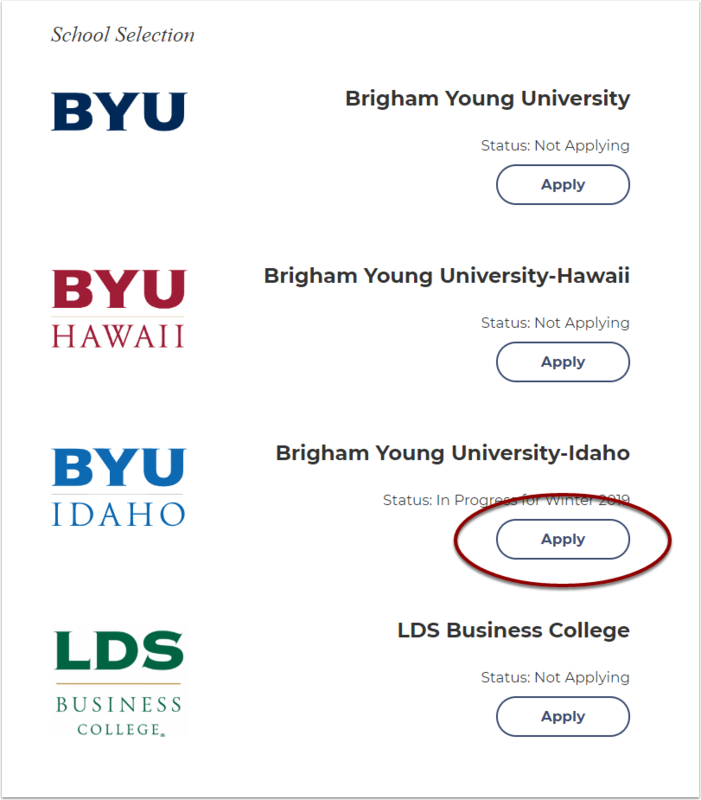 If you have completed ANY other college work in the United States, please select the Add Another College Button for each school. 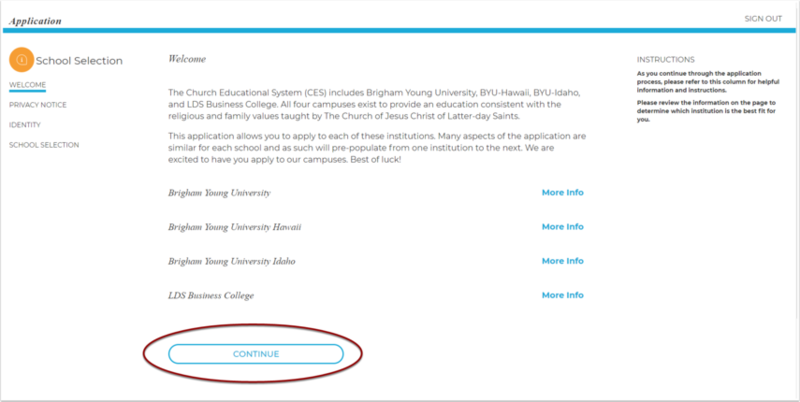 You will need to send transcripts to CES from those other schools before the application can be submitted. Instructions on how to do this will be on the right-hand side of this page. If you did not attend another college in the United States, skip to step 19. Acknowledge that you will live the honor code. Select the option that accurately describes your situation. 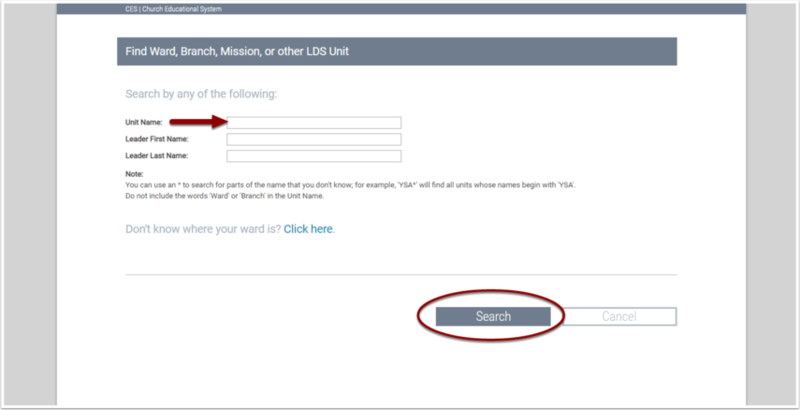 Select the ward that matches the name of your bishop and choose the Select button to the right. 20. Essay: Complete the essay. 21. 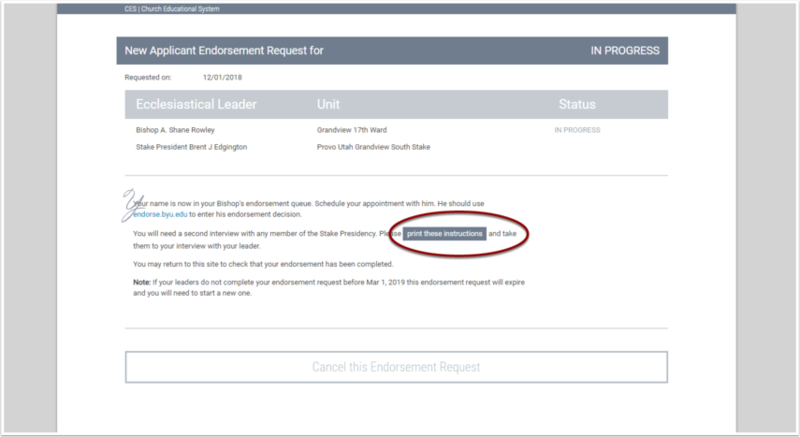 Status: After submitting your ecclesiastical endorsement request, you can then access the status screen from the top selection bar. 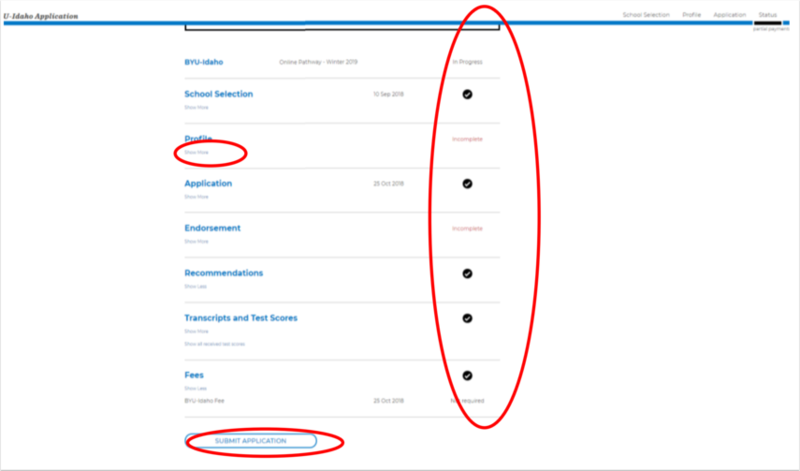 Note: The credits you report on the College/University section should match the transcripts. If not, you will get a message to correct the credits or send an updated transcript.